Hi! I’m Danny, and I’m British half of Lemongrass Garden. My partner in business and life is Borey, a local Cambodian lady with whom I’ve made my life and family with. In 2009, we established Lemongrass Garden, and since then, it has grown in popularity among tourists and locals alike. What started simply as a business, we realized quickly that we could also give a little bit back to the amazing, but underprivelged people of Cambodia by offering opportunities. Many of our team come from the poorest provinces from all over Cambodia, from Phnom Penh to Battambang, Sihanoukville to Siem Reap. A large number of our team have children too. However, as is the way of Cambodian culture, they find themselves supporting their whole families as well, buying for food for parents and paying their brothers and sisters school fees. Furthermore, most here are with little to no education, and are actively supporting themselves through their own studies. At Lemongrass Garden, it is our aim to help our team build a better future for themselves and their families. We provide a 3 month training course that provides our students with a fixed salary. After completion of training, every student is given the option to stay and work with us. Those that remain are promoted to full time therapists, and receive our generous full time package; a competitive salary, commission on all treatments, bonuses, paid holidays and, of course, 100% of tips. We also offer free accommodation to our team for them and their children, and promote from within, so everybody is given the chance to improve themselves further. At this point, we feel that Lemongrass Garden has given us the opportunity to build a team of incredibly talented people, and we are so proud of each and all of their achievements. You may also be pleased to know, that we are very much a family business, and not part of a corporate chain. 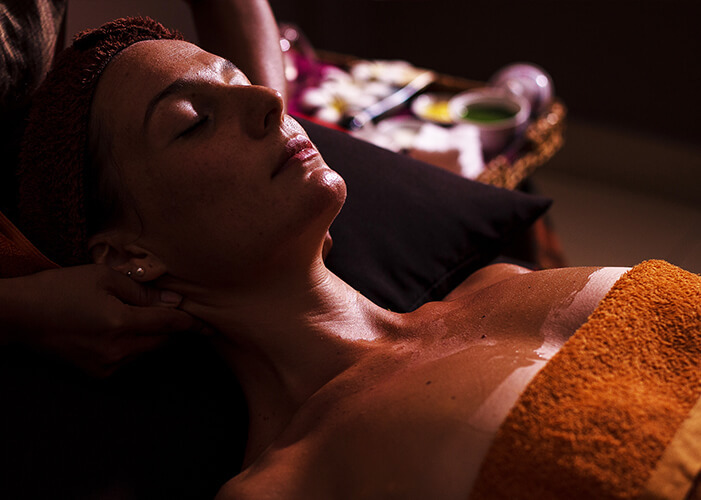 Lemongrass Garden is proud to be a healthy entity within the spa industry. You’ll find that many of our treatments and products are vegan, 100% natural, organic and eco-friendly. We do not use products tested on animals. Most of our products are made locally, and some you will only find at Lemongrass Garden. As a family business, we care deeply about your experience. Upon entering through our door, you’ll be greeted with a smile and a cold cup of organic Lemongrass tea. You’ll notice a subtle citronella scent in the air and soft music in the background. The cool air will also be noticeable as you escape the outside heat. 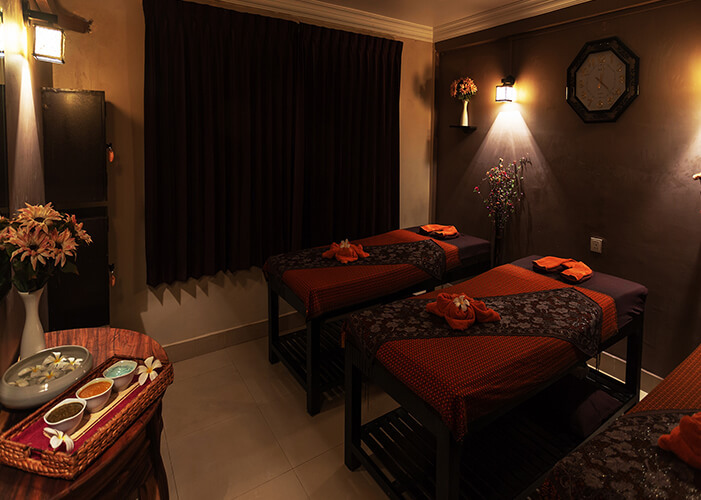 All of this is meant for a totally relaxing experience we hope you’ll love. We have stocked up our shop with a huge range of organic and natural products. 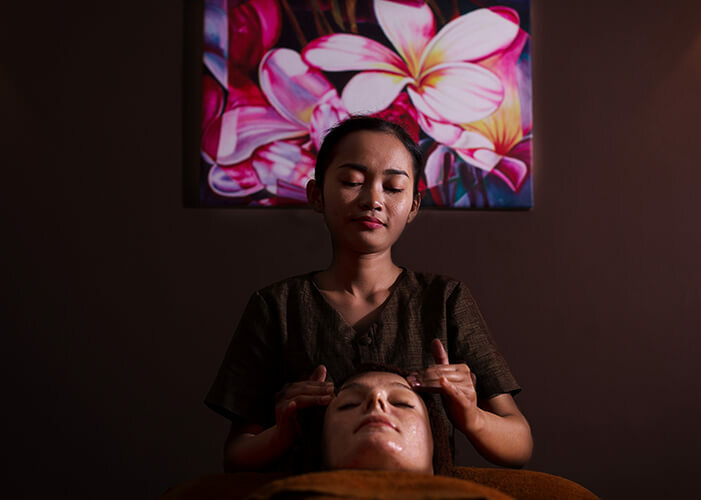 These include massage oils, essential oils, deodorants, mosquito repellent and even some beautiful pajamas that help the ladies of WORD, an NGO set up to train young underpriveleged Cambodian youths how to sew and make their own small businesses. All proceeds from the pajamas go directly back into the hands of the lady that made them!